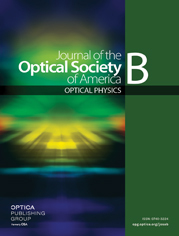 In this paper, we report on the simulation of an ultra-broadband coherent mid-infrared supercontinuum (SC) extending from 1.25 to 20 μm generated using a novel AsSe2-As2S5 multimaterial photonic crystal fiber (PCF). The proposed fiber is composed of a core made of AsSe2 glass and a surrounding cladding made of As2S5 glass. The hybrid PCF is designed to have a zero-dispersion wavelength (ZDW) of 3.3 μm with an overall highly engineered group velocity dispersion shifted to the mid-infrared wavelength region. The SC is generated by pumping 50 fs pulses at 4 μm emitted from an optical parameter amplifier with low energy of 0.625 nJ. The pumping wavelength is selected in the anomalous dispersion regime close to the ZDW. The widening of the SC is mainly based on the soliton effects in the anomalous dispersion region combined with self-phase modulation, cross-phase modulation, stimulated Raman scattering, four-wave mixing, and dispersive wave. The obtained SC shows a high degree of coherence and a 15 fs temporal compressed pulse is generated in only 5 mm long AsSe2-As2S5 hybrid PCF. The power proportion of the SC generated beyond 4 μm is 98% with its long wavelength edge up to 20 μm. To the best of our knowledge, the obtained SC is the first broadest spectrum reported in the mid-infrared region with very low energy. Our results highlight the potential of the novel chalcogenide AsSe2-As2S5 multimaterial PCF to emit across the ultra-broadband mid-infrared atmospheric windows and the molecular fingerprint region.